Not as good on the road as some of its rivals, average fuel economy, top spec models are expensive. 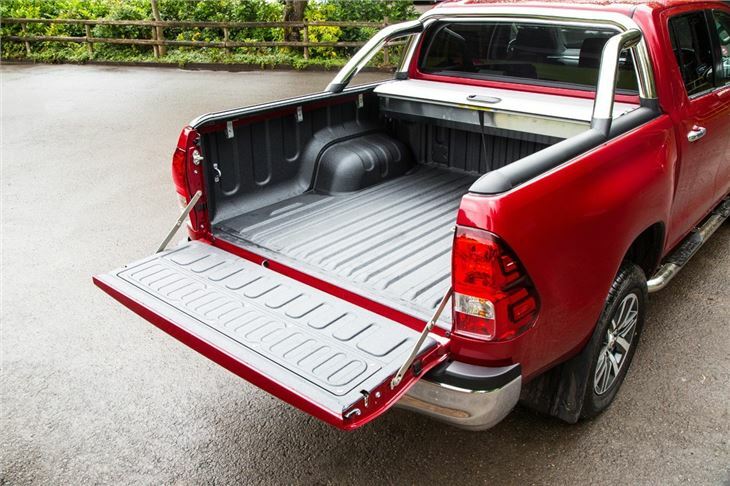 The Toyota Hilux has an enviable reputation for toughness and quality. This is what's made it such a firm favourite with builders, forestry workers and outdoor enthusiasts. 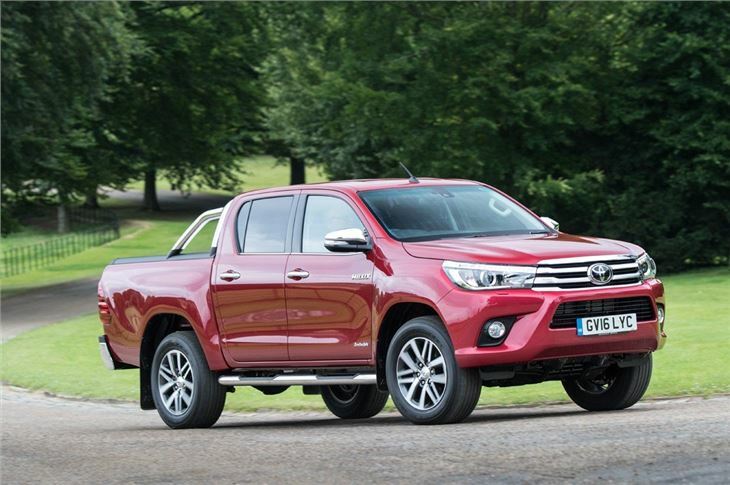 However, with this, the eighth-generation Hilux, Toyota has looked to gentrify its pick-up somewhat, with better ride comfort and improved refinement. 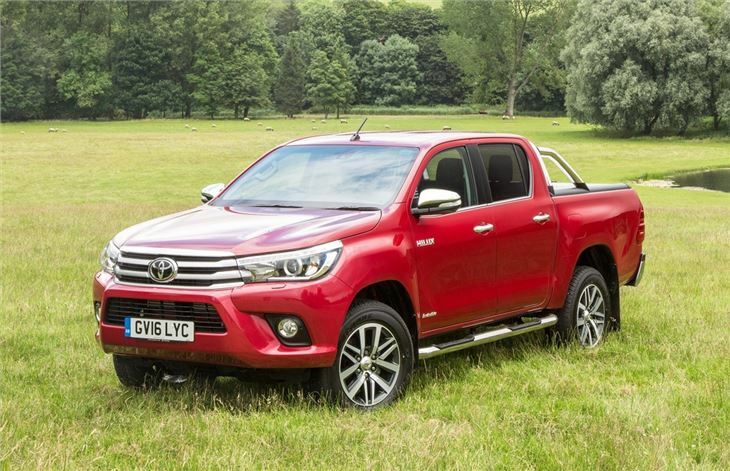 As well as more car-like features, the Hilux gets improved towing ability, which means it will pull up to 3.5 tonnes - when hooked up to a braked trailer. Payloads vary from 1030kg - 1055kg, depending on which body style you choose. The Hilux is offered with just one engine - a 150PS 2.4 D4-D diesel - but gets more torque than its predecessor with 400Nm available from just 1600rpm. As a result Hilux is well-suited for towing huge loads, although business users might need to fit a tachograph to take full advantage of its 3.5 towing ability. The 2.4-litre diesel is more efficient than the 2.5 and 3.0 D4-D engines it replaces with claimed economy peaking at 40.4mpg. However, both the Mitsubishi L200 and Nissan Navara are more economical and more refined, with the 2.4 D4-D suffering from lots of diesel clatter and noise under hard acceleration. Automatic versions will only return an official 36.2mpg. 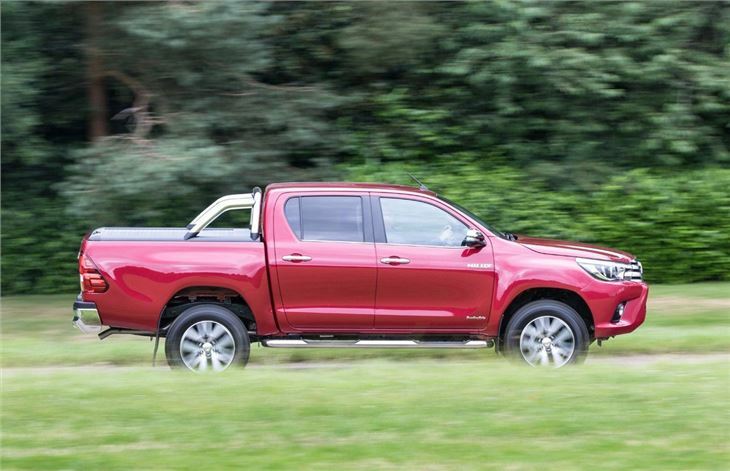 One area where the Hilux has always excelled has been off-road and the very little changes here, with the Toyota providing surefooted traction for the most extreme of environments. All versions get switchable four-wheel drive as standard, along with low ratio gearing and a locking rear diff that makes it easy to tackle heavy mud and snow. An automatic braking system is also standard, allowing the Hilux to moderate its speed when tackling steep off-road descents. On the road, the Hilux's ride can get quite bumpy. It lacks the low-speed composure of the Navara and Volkswagen Amarok, which means potholes and speed bumps produce lots of body movement. 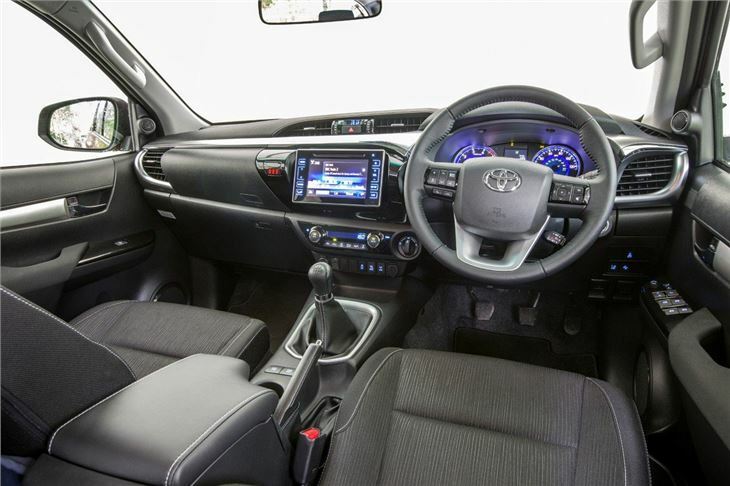 Things improve at motorway speeds, with a calmer ride that feels predictable and comfortable, but the Hilux will never rival family SUVs for ride quality. That said, the Hilux is easy enough to drive and - even in rear-wheel drive mode - has plenty of grip in the corners. Robust and hugely capable off-road, the Toyota Hilux continues very much in the same vein as its predecessors. 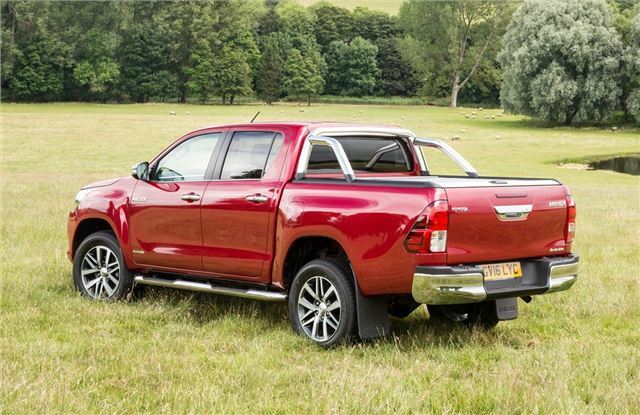 Admittedly, it's not the most refined or efficient pick-up on the market, but its wide choice of body styles and 3.5 tonne towing capacity will make it an attractive choice for those in need of a tough workhorse that will rival the best when it comes to off-roading. Range-topping Hilux Invincible X takes aim at the Nissan Navara and Volkswagen Amarok with higher spec and updated styling. Will it be good enough to topple its rivals?